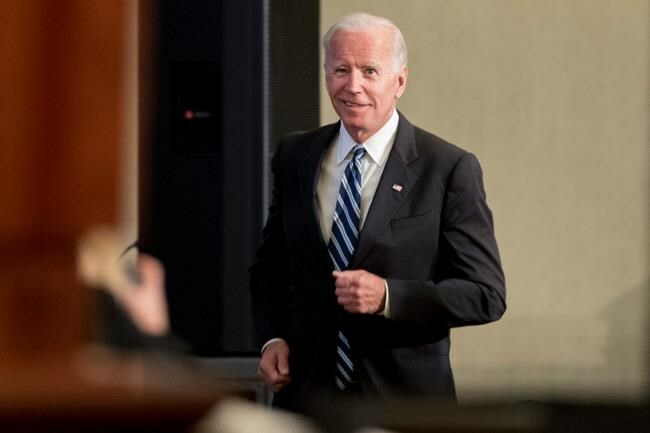 WASHINGTON — President Donald Trump is targeting Joe Biden after the former vice-president made a verbal slip about a potential 2020 presidential bid. Trump, who has eagerly followed the 2020 Democratic field, tweeted Monday: "Joe Biden got tongue tied over the weekend when he was unable to properly deliver a very simple line about his decision to run for President." At a dinner over the weekend, Biden said he had "the most progressive record of anybody running." But Biden hasn't announced whether he will launch a third run for the White House. He quickly corrected himself, but the comment prompted frenzied speculation. Trump previously labeled California Congresswoman Maxine Waters and actor Robert De Niro as being "low I.Q."